In our issue of last week we reported the sad news that Mr. and Mrs. Parkinson, of 1 Hudrake, Haslingden, had received official intimation that their son, Private Wm. 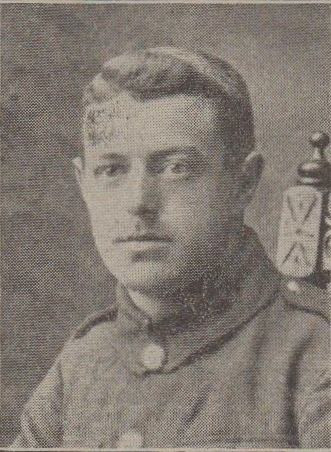 R. Parkinson, of the East lancashires, had died at a Red Cross Hospital in France, as the result of wounds received in action. The deceased, who was 26 years of age, joined the army during the present year, and went out to France some months ago. Prior to joining the army he was employed as a weaver. Great sympathy is felt with the parents in their bereavement.